This Nissan Skyline GTS is equipped with an RB26DETT motor, the same motor that comes in a GTR. 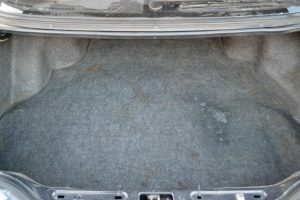 It’s suited in a wide body kit which you can see in the pictures that it starts at the rear doors and smoothly transitions into the rear quarter panel. 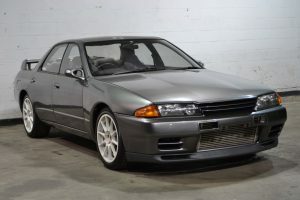 This is a perfect combo for anyone looking for GTR power and style, but at less than GTR cost. 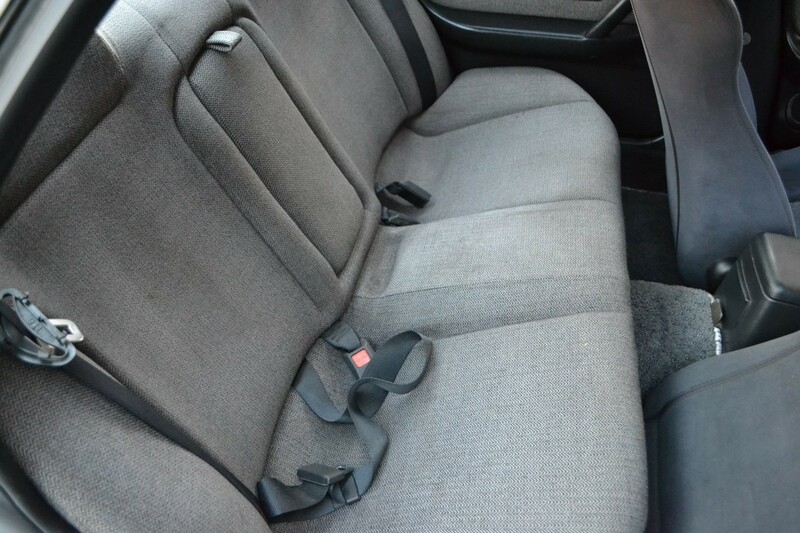 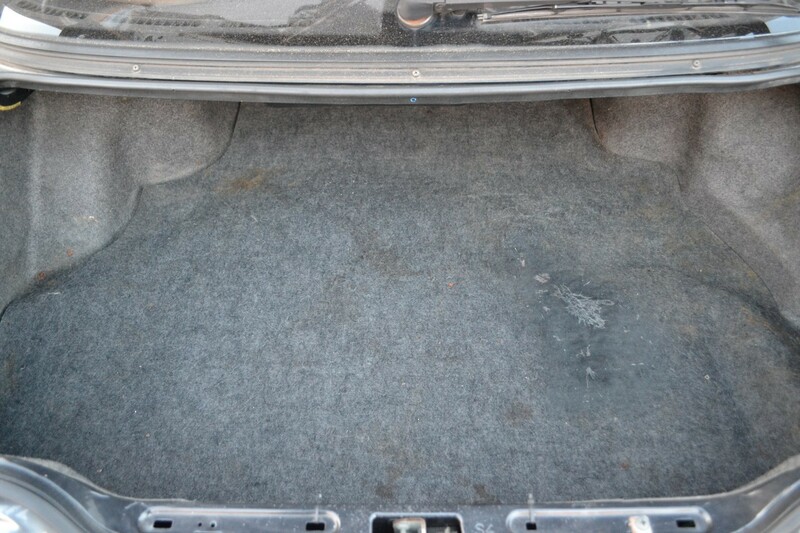 Four doors offers practicality and usability during the daily routine. 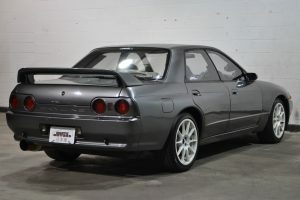 The Nissan Skyline R32 was offered in a more entry-level form of the GTE or GTS. 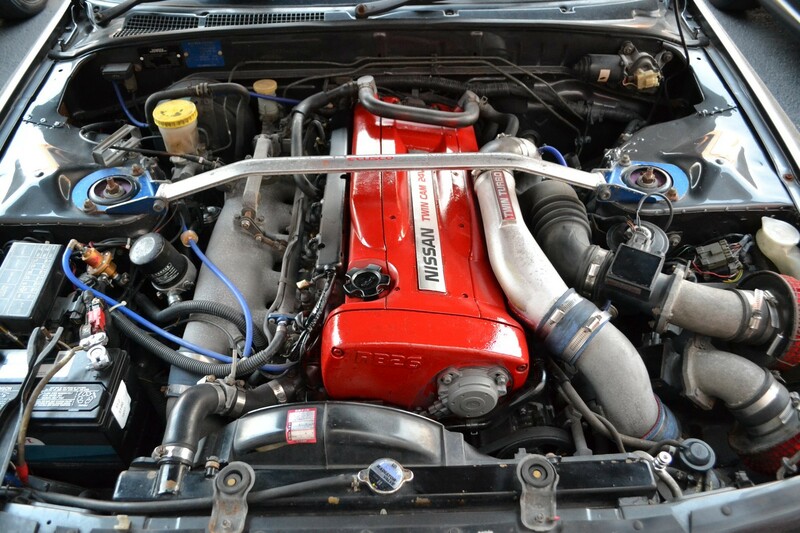 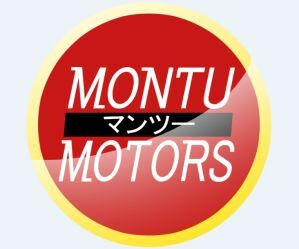 Both used the RB20, with the GTE using the 123hp RB20E and the GTS using the 153hp RB20DE. 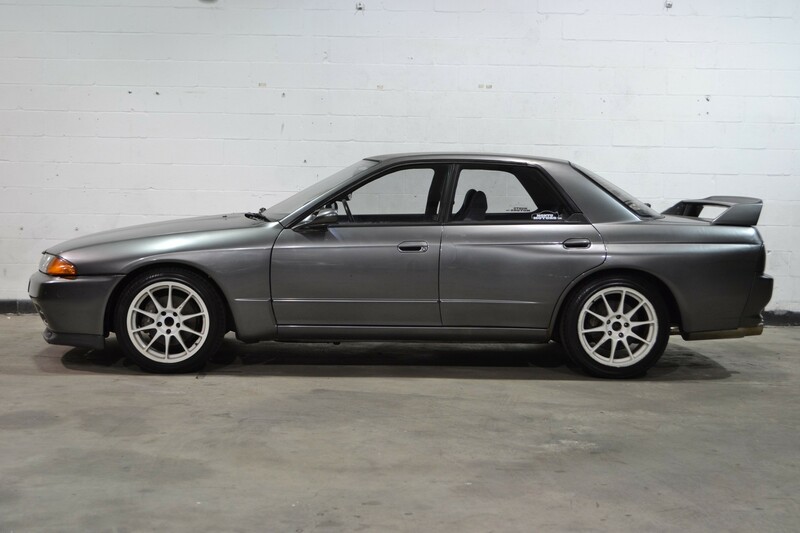 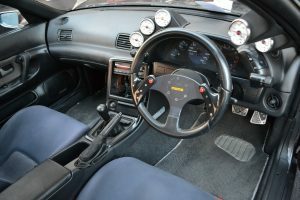 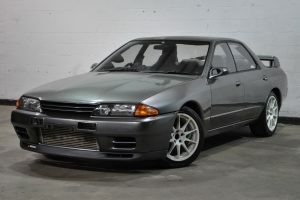 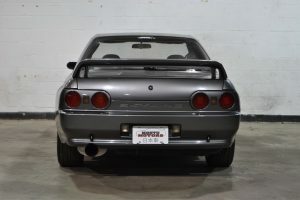 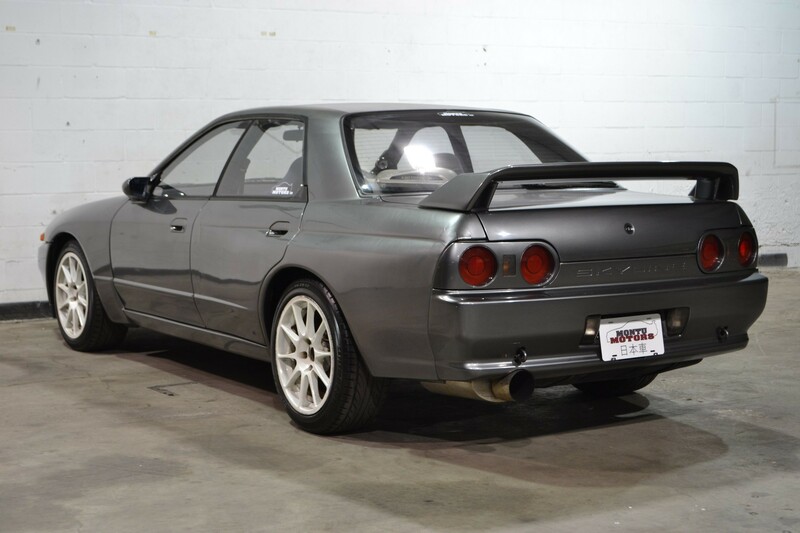 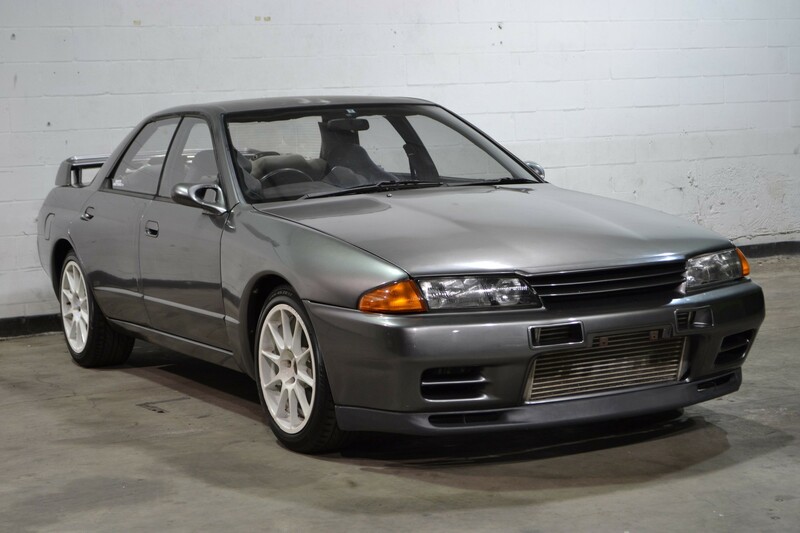 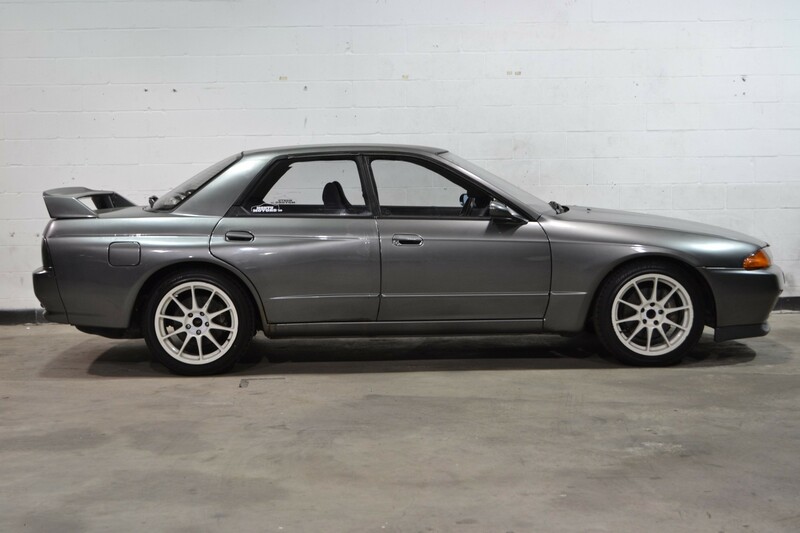 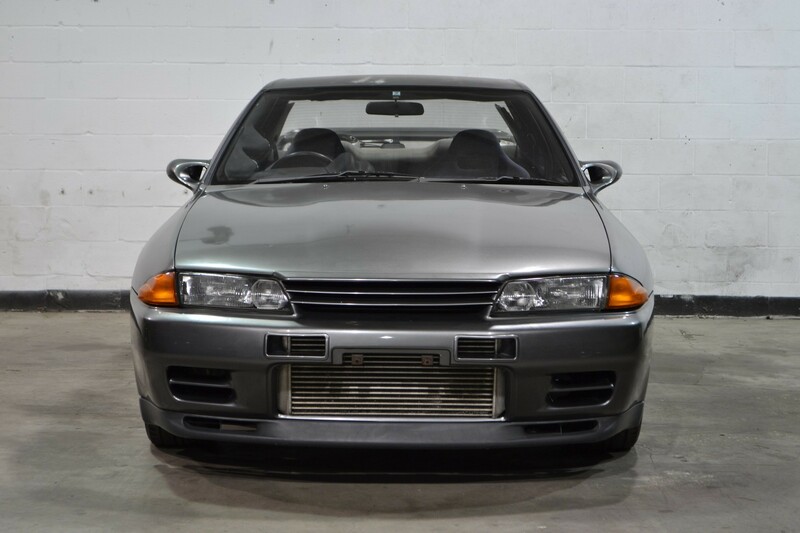 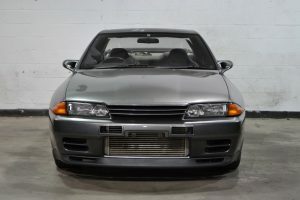 Provided with a 4-speed automatic or 5-speed manual as well as RWD, these versions of the Skyline have the iconic looks and sporting intentions of the R32 GT-R, but in a simpler, everyday use kind of way.